There are very good actual Nintendo Switch cases on the market, but sometimes the best solution to moving your console around can come from unofficial avenues. In this case, a Pelican...case, the rugged storage boxes that everyone from photographers to tradespeople use to keep their gear safe from bears, bombs and bus crashes. 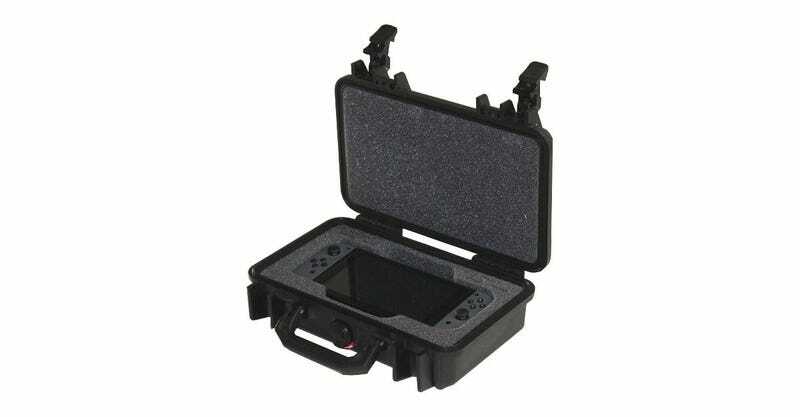 Kamikawa4 works for a company that produces custom foam inserts for the cases, and managed to convince his bosses to craft some specifically designed to fit a Switch and its accessories (they make them on a per-order basis). At $70 it’s not cheap, but that’s for the case and the insert, so if you ever feel like your console might be in mortal danger while in transit—or just want to look like an action movie star opening the thing up when you get there—it’s not the worst idea.